Today’s blog is sponsored by Brandeis University’s Heller School for Social Policy and Management and is written by City Year AmeriCorps alum Calla Mattox. The Heller School offers a guaranteed minimum 40% tuition scholarship for all AmeriCorps alumni enrolled in one of their programs. 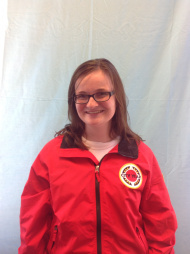 My name is Calla, and I am a proud City Year AmeriCorps alum. Like many of you, I knew I wanted to give back to my community for a year after college. I ended up doing a term of City Year in Providence, Rhode Island. One year became three, and I then served as a Community Partner and Donor Relations AmeriCorps VISTA with Rhode Island Free Clinic, a nonprofit that provides free comprehensive health care to uninsured, low-income adults. The organization was doing great work, but I realized more and more that I didn’t have the skills I needed to take the next step in my career. I wanted to be able to help the organization to be more efficient and effective in their work, but I wasn’t ready to manage a budget or people. I began searching for a graduate school that would value my AmeriCorps experience and give me the opportunity to develop the skills I needed to make a greater impact. These days, I’m a first-year student at Brandeis University’s Heller School for Social Policy and Management. Why Heller? Well, for starters, the Heller School offers a guaranteed minimum 40% tuition scholarship for all AmeriCorps alumni enrolled in one of their programs. When I saw Heller’s dual MBA/MPP degree, I knew that it was a perfect fit. With the MBA (Master of Business Administration in Nonprofit Management), I will learn management strategies and the inner intricacies of nonprofit organizations. With the MPP (Master of Public Policy), I will begin to understand the broader world in which these organizations exist and how to make change at a national level. While we all have different passions, every student at Heller is interested in social justice and social change. It was important to me that I would be able to network with like-minded individuals during my grad school experience, and this environment is the perfect way to do it. My classmates genuinely want to see me succeed, and I want to see them succeed as well. Someone is always willing to help you with a statistics concept or to exchange papers with you to make sure everything makes sense. The classes are interesting and informative. I have just finished a full semester, and I am already seeing social issues in a completely different light. Professors are extremely helpful and are always willing to have you stop by their office with a question or just to say hi. I have no doubt that when I have finished this program, I will be better equipped to work with nonprofit organizations to make a difference. Whatever cause you are committed to – ending poverty, improving health policy, protecting the environment, spurring community development, resolving conflict or protecting the rights of women, children and minorities — Heller’s unique interdisciplinary approach will prepare you for a fulfilling career finding solutions to society’s most pressing social problems. Learn more about the Heller School’s programs today!